So much to love about this fantastic Teaverton residence. Quiet street with friendly neighbors. Popular Wilson School District! 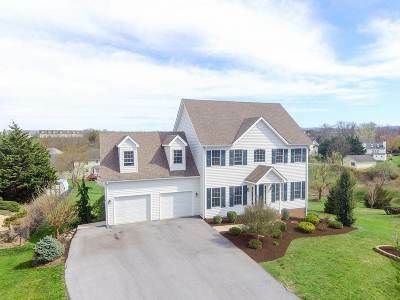 Enjoy family time or gatherings in this impressive, generously spacious, light-filled home. Start your days watching the sun rise in the East from the private deck overlooking the large back yard with mature landscaping. First floor design provides open spaces with an easy flow from room to room. 3,200 SF, 4 BRs, 3.5 baths, huge garage, loads of storage space and room to expand in a portion of the unfinished walkout basement. All this property needs is YOU!!! Name Of Property: A Teaverton Classic!